Igor Sakhnovsky, 54, writes prose that has the potential to become classic literature: the stylistic originality and opulent language combine with unconventional and entertaining plots where the mundane and the miraculous merge organically into one, becoming seamless and inseparable. We shall present the audio-podcast based on the fragments from his first novel "The Vital Needs of the Dead" (Chapter Six, Chapter Thirteen). 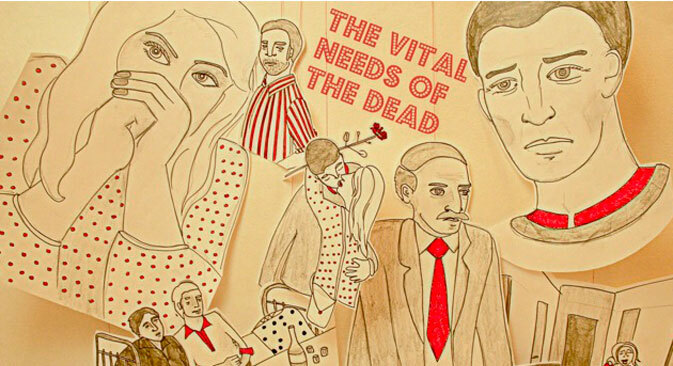 Sakhnovsky's novel, "The Vital Needs of the Dead" (published in English by Glagoslav in 2012), earned recognition and sack loads of letters from readers who saw themselves in his characters. This semi-biographical story of ‘sentimental education’ of a young man in a Russian province chronicles his life from childhood to university years, with his first love, to an older woman, his attempt to break out of the provincial morass and the choices he has to make.